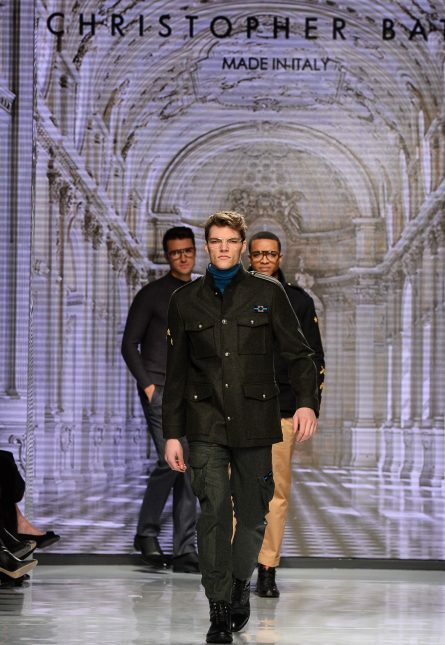 Day 1 of Toronto Fashion Week ended with Christopher Bates presenting his namesake Fall/Winter 2018 collection and debuting a sneaker made in collaboration with MTV. The shoe presented on the runway was all-black, with patent accents and studded details along the sole. A tiny version of Bates’ signature kiss motif added a nice finishing touch. This particular sneaker is one of four unisex styles that will be available at Gotstyle this spring as part of the Christopher Bates collab with MTV. 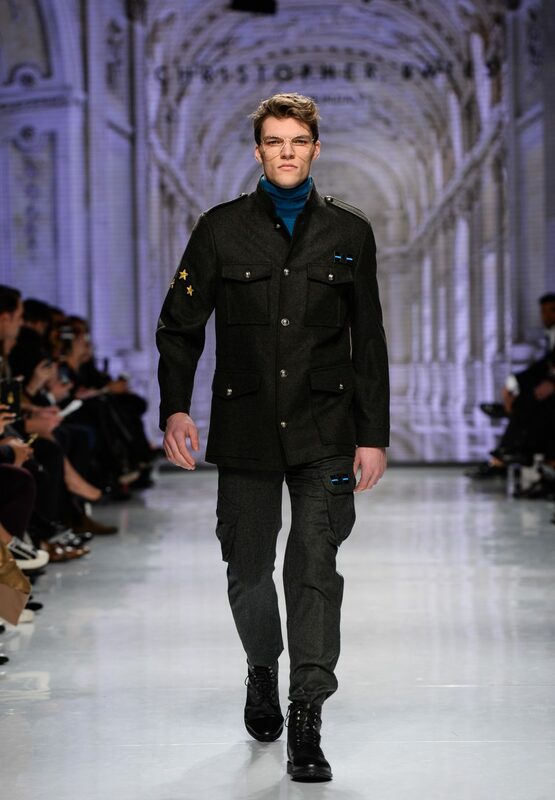 The Fall/Winter 2018 collection itself was a mix of Alpine skiing and traditional military motifs blended with the contemporary, tailored Italian aesthetic Bates has become known for. But why the ski aesthetic? Bates, who used to ski 45 days a year at Whistler Blackcomb, says it’ll be a big trend for next season. “I do a lot of research before designing a collection and my research just sort of led me in this direction — some fresh takes on colour blocking and using a more exciting colour palette in fall,” he explains.